(Raleigh, NC) May 8, 2008- Bill Cowher, former NFL star and current NFL Today sports commentator, will be the keynote speaker at the Business Club of the Triangle’s (BCA Triangle) May breakfast meeting. The breakfast, sponsored by Rocky Top Hospitality, will be held at 1705 Prime in Raleigh on May 16. A graduate of NC State University, Bill Cowher began his NFL career as a player with the Philadelphia Eagles in 1979. The following year, Cowher signed with the Cleveland Browns where he played three seasons before heading back to the Eagles. He ended his career as a player in 1984. In 1985, Cowher began his coaching career with the Cleveland Browns. Cowher coached at with the Kansas City Chiefs before becoming the head coach of the Pittsburgh Steelers in 1992. In 1995, at age 38, he became the youngest coach to lead his team to a Super Bowl. In 2006, Cowher’s Steelers won Super Bowl XL when they defeated the Seattle Seahawks. Bill Cowher is a former player and coach for the National Football League. In Cowher’s 15 seasons as head coach for the Pittsburgh Steelers, he captured eight division titles, earned ten postseason playoff berths, played in 21 playoff games, advanced to six AFC Championship games and made two Super Bowl appearances. On February 5th, 2006, Cowher's Pittsburgh Steelers won Super Bowl XL by defeating the Seattle Seahawks 21-10, giving Cowher his first Super Bowl ring. Cowher resigned from the NFL in 2006 and currently works as a studio analyst for CBS’ NFL Today. Bill and his wife, Kaye, live in Raleigh, NC. The Business Club of The Triangle is a national membership driven business development organization that serves the middle market business community. 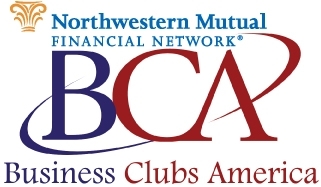 With each BCA member being exclusive in their business category, BCA puts its members together in a variety of environments where they can build relationships and generate revenue with other members and their customers. BCA provides training, tools, strategy and support to generate measurable results for its members. The Business Club of the Triangle is sponsored by the Carolina Condrey Group of the Northwestern Mutual Financial Network. For more information on the Business Club of the Triangle, contact Penn Shore at (919) 612-9458 or visit their website at http://www.businessclubsamerica.com/the-triangle-north-carolina-m-2.html.